The most common forms of security interests are security over real estate assets, movable assets (eg, equipment machinery) and intangibles (eg, shares, IP rights, receivables). According to Italian law, security interests usually cover existing and well-identified assets only, apart from limited exceptions. Security interests over future assets are generally not recognised and are recharacterised as an undertaking to grant security. As a general rule, to perfect a security over real estate or certain moveable assets (such as cars, aircraft, ships, etc) registration with public registries is required and it is usually granted by way of a mortgage, differently from the perfection of a security over all other moveable assets or intangibles (including personal property, shares, bank accounts, receivables and claims) which is usually taken by way of a pledge. Security over claims and contractual rights can also be created by an assignment by way of security. Moveable assets not registered with public registries and reserved for the running of a business (including equipment, plant, machinery, raw materials, work-in-progress, finished goods, goods otherwise purchased with the proceeds of the relevant financing and receivables arising from the sale of the company’s assets) can be subject to special liens. Furthermore, recent reforms in Italy have introduced a sort of floating charge. This enables the debtor to keep possession of the asset, which may be used for purposes connected with the business and which may also be disposed of with automatic transfer of the pledge. Unless otherwise provided by the law, in terms of priority, while the security interest created under any pledge has precedence over a special lien on the same asset and over a general lien on moveable assets, special liens over real estate assets have priority over the security created under any mortgage, to the effect that a creditor benefiting from a special lien over an asset mortgaged in favour of different creditors would be preferred in priority over the creditors secured by mortgage in an enforcement scenario. Italian law provides for certain general or special statutory liens in order to secure monetary claims. From a technical standpoint, these liens do not represent a security interest, but allow certain claims to rank in priority over other claims in consideration of their nature or the underlying title. In this respect, certain claims are preferred by law to others for humanitarian (funeral or sanitary costs) or social (workers’ wages) reasons, or as they relate to the state’s financial interest (for instance, tax claims). The relevant lien may be special or general, depending on whether it relates to a specific asset or the generality of the assets falling into the same broad category (eg, movable assets). The priority order of these liens is established by law. Generally, in relation to registration tax and stamp duty, these apply to all security documents relating to a facility agreement. The rate of the registration tax depends on whether the security interest secures the security provider’s own obligations or those of a third party. If the security secures the security provider’s own obligations, a fixed registration tax is generally payable. Otherwise, registration tax may apply unless an exemption is applicable. Further, referring to mortgage deeds, these are currently subject to a mortgage tax equal to 2 per cent of the secured amount, apart from limited exceptions. Owing to customary over-collateralisation (eg, the mortgage securing 150/200 per cent of the loan), the taxable base may be higher than the principal amount of the loan to be secured. A negligible fixed stamp duty is also payable. As a notary has to be involved in the process (to draft or notarise the deed), to carry out all the filings with the competent tax office and land register and to carry out all the relevant title searches), notarial fees shall also be considered. As an alternative regime, Italian law provides for an optional substitute tax, which is an ‘umbrella’ tax - currently equal to 0.25 per cent of the financing - that replaces all indirect taxes (including registration taxes, mortgage taxes and stamp duties) due on the facility agreement and the relevant security package. The tax is paid by the relevant project lender, but the cost is usually borne by the borrower (often withheld from the amount to be drawn down). the parties expressly opt for the application of the substitute tax. The scope of the substitute tax for security packages has been widened by reforms so as to include (i) any subsequent assignments of the loan to a third-party assignee and (ii) certain medium-long financing transactions structured through bonds issuance. In the context of a financing transaction, trust and trustee structures are not fully recognised under Italian law, since any function performed by an entity acting as administrative or collateral agent or trustee must be performed by such entity as agent in the name and on behalf of the other project lenders and finance parties. Furthermore, it will not be possible to implement the trust and trustee structure in respect of holding of collateral or simply elect the collateral agent as the exclusive security holder on behalf of the other project lenders. Security interests are, in fact, to be granted to project lenders individually, and the sub-participation structure where only one bank is the project lender of record has been causing significant legal issues in Italy. Moreover, parallel debt is not market practice in Italy as such structure has been questioned by the Supreme Court in Italy and not upheld. Hence, security cannot be granted to one person only for the benefit of others, but each creditor must be the beneficiary of the security interest (and registered as such, if registration is a perfection requirement to that security). In other words, only the entities specifically identified in the security documents as beneficiaries of the security interest have the rights purported to be created under the security (including enforcement rights). It is Italian market practice to provide the appointment of an agent and a security agent (if these capacities are not vested in the same entity) in the facility agreement or the intercreditor agreement and empower the agents to execute, all lending and security package documents (including any security confirmation upon a change of project lender) on behalf of all project lenders and secured parties, exercise their rights thereunder and enforce the security interest. However, it does not exempt from the requirement of registration (if required) and enforcement in favour of each secured party, individually. See the first two paragraphs of question 2. Under Italian law, enforcement is effected in the event of any breach of obligations subject to the terms of the loan agreement between the parties and through a court-supervised procedure culminating in a public auction. As a result, enforcing against collateral can be quite expensive and time-consuming. However, although this is the only means for mortgages and special liens, the enforcement of a pledge can also generally be done, depending on the type of assets subject to security, though an out-of-court procedure, provided that this ensures a transparent sale process and fair sale price. In this latter case, the secured creditors have the right, after serving the debtor an injunction to pay, to have the assets subject to security sold, in whole or in part, in one or more instalments, by auction or by private sale through the security agent, a court bailiff or other authorised persons. The secured creditors also have the right to demand payment by way of assignment, in whole or in part, of the assets subject to security. The demand is to be made to the court and, if granted, the assignment will be made pursuant to a valuation of the asset by way of expert report. According to the fungible nature of some assets (eg, bank accounts and shares in public companies), security over these assets can be governed by the Financial Collateral Directive (Directive 2002/47/EC), as implemented by Italian Legislative Decree No. 170/2004, which greatly simplified the enforcement process, making it faster and not subject to any stay in the event of insolvency of the relevant grantor. A ban on starting individual enforcement and precautionary measures in relation to the assets of the debtor and the suspension of those already commenced, is provided. Exceptions to this principle are, as a merely way of example, the enforcement of mortgage loans and guarantees provided under the Italian Legislative Decree No. 170/2004 which can be continued (and even commenced) despite the liquidation process being under way. Within the scope of the liquidation procedure (and therefore subject to falcidia fallimentare, for example, the distributions to creditors are made in accordance with pari passu principles, subject to the priority payment of certain classes of creditors and within the limit of available funds), the debt obligations are assessed and the related claim is satisfied. Certain types of contracts are automatically terminated or assigned to the liquidator. Priority of payment depends on the nature of the debt and its relevance as regards the insolvency procedure. Summarising, insolvency procedures distinguish creditors in the following three categories, listed in order of priority of payment: (i) creditors of the procedure (eg, liquidator’s fees and disbursements); (ii) secured creditors, which can be either contractual secured, or creditors benefitting from liens arising by operation of law; and (iii) the generality of unsecured creditors. In accordance with EU directives and regulations, Italy has not implemented foreign exchange controls. There are no restrictions on currency transfers. There are, instead, reporting requirements only for banks (specifically, banks are required to report certain transactions due to money laundering and terrorism financing concerns). A 26 per cent withholding tax would apply in all other cases. Notwithstanding, no withholding tax would apply in case the conditions for the application of the Parent-Subsidiary Directive are met, and the withholding tax on dividends may be reduced by the applicable double tax treaty (if any) and provided that the conditions set by the double tax treaty are met. According to Italian domestic tax law, interests paid by an Italian resident company to a non-resident company are in principle subject to a 26 per cent withholding tax. However, a specific withholding tax exemption applies on interest paid to certain EU regulated financial institutions (eg, banks, insurance companies, etc) in relation to medium-long term financings. Moreover, it shall be considered that no withholding tax would apply in case the conditions for the application of the Interest and Royalties Directive are met, and the withholding tax on interests may be reduced by the applicable double tax treaty (if any) and provided that the conditions set by the double tax treaty are met. In accordance with EU directives and regulations, Italy does not envisage repatriation of foreign earnings. There are no restrictions on currency transfers. There are, instead, reporting requirements only for certain financial entities (specifically, banks are required to report certain transactions due to money laundering and terrorism financing concerns). There are no restrictions for project companies regarding the establishment and maintenance of foreign currency accounts in other jurisdictions. However, it is common use to establish at least one domestic bank account. As a general rule, foreign investments are not subject to restrictions under Italian law. However, in certain strategic sectors, such as defence and national security, energy, transportation and communication, Italian law provides that scrutiny by the Italian government is first implemented and, further, that the Italian government may exercise a veto right over certain extraordinary resolutions of the shareholders or the boards of directors of the companies operating in those sectors. EU and EEA nationals, pursuant to the principle of free movement of persons, goods, services and capital, can be employed in Italy without any authorisation by the Italian authorities. If an EU national chooses to work in Italy for a period in excess of three months, she or he should apply for a ‘Stay card’, which is normally issued by the local state police office upon a simple request. This permit is renewable. Swiss citizens have the same right of entry, residence and access to work as EU nationals. The admission of non-EU foreign workers is subject to a mechanism of quantitative selectivity based on quotas for new entries on a yearly basis (established by government, which sets the quota through a prime ministerial decree, published in the Official Gazette). Assuming that European general principles upon this matter are applicable, in particular, to project companies, pursuant to the right of free trade throughout the territory of the EU that operates in the European Union, the EEA and in the Turkish area, project companies have the right to freely export and import project equipment. This means that EU countries cannot limit the quantities of imported or exported goods, nor impose restrictions on trade. The right to free trade also includes the right of free transit throughout the territory of the EU, once a product (even if manufactured outside EU) has entered the EU, it can be transported freely throughout the whole EU. If project companies import more than a certain value in products (which changes from country to country) into the EU, those companies have a duty to provide a statistical report on their intra-EU trade flows. Concerning to import of project equipment from extra-EU countries, international bilateral treaties signed between Italy and other extra-EU countries shall be considered. There are no particular incentives for foreign investors or creditors. See question 2. Notwithstanding the above, article 2 of the Italian Legislative Decree No. 147/2015 introduced a new type of advance tax ruling to provide the taxpayers (both resident and non-resident entities) intended to implement new investments of at least €30 million with the opportunity of an advance confirmation of the tax treatment of the entire investment plan. The advance tax ruling covers new investment projects to be implemented in Italian territory of at least €30 million, intended to develop an economic initiative of a lasting nature, as well as those finalised to the restructuring, optimisation or streamlining of an existing business, and any initiatives finalised to participate in the equity of the enterprise. The investment plan must have a significant and long-lasting impact on employment levels. operations involving participation in an enterprise. In a project finance transaction may be involved a number of government bodies, either during the structuring or the operational phase. With reference to PPPs, in addition to the relevant public body awarding the transaction, which is also required to control and monitor the performance of the private entrepreneurs, the following bodies are involved: the National Anticorruption Authority, which shall monitor the lawfulness of the transactions, and local public bodies (regions, municipalities), which are required to grant the relevant licences in order to build or operate public works or services. Furthermore, depending on the underlying sector of the PPP and related public interest to be protected, the Ministry of Infrastructures and Transport, the Ministry of the Environment Land and Sea and their delegated local authorities may be involved. The ARERA is the regulatory body for water and energy markets and has the role of supervising and determining rates and other regulatory aspects, while the activities related to planning water investment are in the hands of municipalities. Moreover, the exploitation of gas and oil fields is subject to a licence (concessione) to be granted, save for specific exceptions, by the Ministry of Economic Development and the Italian electricity, power and gas markets are operated by the Operator of Energy Markets (GME), a subsidiary of the GSE SpA, a company owned by the Ministry of Economy and Finance, and the activities of GME are performed pursuant to the rules issued by public regulators: the Ministry of Economic Development and the ARERA. According to Italian civil law, to natural resources (eg, oil and gas, minerals, water and other resources in the ground, land and things that grow on or live on the land) a different regime from rights of landowners is considered to be applicable, since they are considered as state property and cannot be transferred. This ‘inalienability rule’ does not depend on whether natural resources are located on private or public land. For this reason, private parties can acquire rights to natural resources only through authorisations or concession issued by the Italian government, in particular by the Ministry. Holders of the above-mentioned authorisations or concessions are fully liable towards the public administration for their activities and they are obliged to restore any damage deriving from their operations on natural resources. As a general rule, also foreign project companies can acquire rights on natural resources, since there is no difference between foreign and national companies. Nevertheless, it is common for foreign project companies to have a local presence (they usually incorporate an Italian branch or subsidiary). As a general rule, once private parties have acquired an authorisation or the concession on natural resources, they shall send a royalty in favour of the Italian government. The exploitation of gas and oil fields is subject to payment of royalties in an amount that may vary from 4 per cent to 10 per cent of value production. In addition, an exiguous rental payment is due to the Italian government, calculated on the number of square kilometres for operations. As for the use of water, taxes are fixed by regions (they can be of different percentages). Within the European Union the principle of free movement of goods is in force, therefore there are no taxes or fees due to EU countries for the export of natural resources. The European rules differ from those existing for commercial relations among EU countries and extra-EU countries, since there are applicable international bilateral treaties focused on the export and import of natural resources. In Italy, for project finance transactions, no specific government approval or taxes, fees or charges are generally applicable save for licences and permits usually required to commence building activities or services supply. Moreover, in the context of concession-based transactions, before lending entities may implement a step-in right, the public entity(ies) may require a preliminary evaluation of the new private entrepreneur in relation to its capability to run the project and with reference to the anti-corruption and anti-bribery requirements. As in the context of a financing transaction, the project finance documents (both finance and commercial) may need to be registered for tax purposes or to ensure their validity or enforceability. Italian law is the usual governing law for transaction documents, except for major financing transactions where a cross-border syndication may be required or it is expected. In such latter cases, English law is applicable to loan documents. 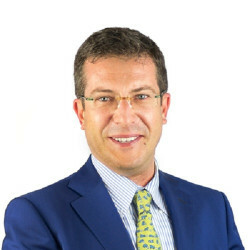 On foreign arbitral award recognition, Italian law allows parties to submit a dispute to arbitration, with the exception of disputes concerning non-disposable rights. Pursuant to article 824-bis of the Italian Code of Civil Procedure (applicable to arbitrations where the place of arbitration is Italy, even if dealing with international disputes), arbitral awards have, as from the date of signature, the same effects as court decisions. In addition, under either the Brussels Regulation (EU) No. 1215/2012 (in the case of judgments from the courts of other EU member states) and Title II of Law No. 218/1995 (in any other case), the jurisdiction of Italian courts can be derogated by contract in favour of foreign courts or foreign arbitration. The recognition and the enforceability of foreign arbitral awards is governed by the 1958 New York Convention, ratified by Italy, according to which foreign arbitral awards are recognised and may be enforced in Italy even if the country recognising the decision is not a party to the Convention. The usual governing law for transaction documents is the Italian law, save for major financing transactions where a cross-border syndication may be required or it is expected. In such latter cases, the financing agreements are usually subject to English law. According to Italian private international law, parties to a contract may freely choose the applicable law to the whole or a part of the contract, and select the court that will have jurisdiction over disputes. It is provided that any such choice does not conflict with any provisions of Italian law of mandatory application, since the principles setting limits on the recognition of foreign laws (such as public policy or mandatory principles of law) do not apply to commercial relationships. In particular, subject to exceptions, whether the countries involved are EU member states or not, the Italian courts will apply the Rome I Regulation ((EC) No. 593/2008) on the law applicable to contractual obligations to determine the governing law of a contract made on or after 17 December 2009. As specified, the general rule under Rome I is that the contract is governed by the law chosen by the parties. Exceptions include, in particular, circumstances where the choice of law is fraudulent or the application is manifestly incompatible with the public policy of the forum or in case of overriding mandatory provisions of the law of the forum. Except for particular cases, an Italian court would also uphold an agreement made in advance to submit non-contractual obligations (eg, a claim in respect of a misrepresentation made in the course of contractual negotiations) to the law of a particular country, in accordance with the terms of the Rome II Regulation ((EC) No. 864/2007). Enforceability in Italy of final judgments obtained in a foreign court is governed by either the Brussels Regulation ((EC) No. 44/2001) (in the case of judgments from the courts of other EU member states) or Title IV of Law No. 218/1995 if no bilateral treaty applies. A final and conclusive judgment for a definite sum of money entered by a foreign court in any proceeding should be enforced by the Italian courts without re-examination or re-litigation of the matters adjudicated upon provided that the requirements under Title IV are complied with. On waiver of immunity, a party may waive its sovereign immunity. Nonetheless, some matters are unquestionably subject to Italian law and a waiver of certain immunities will not be recognised or allowed by courts. For typical project sectors, before starting the construction and operation of any building, plant or farm, a construction licence is required and it would be subject to certain exceptions when the activities to be implemented have not a material impact on the territory or environment or safety or third-party rights. After serving the relevant application to the public bodies and before issuing the licence and the start of activities, an assessment as to public interest involved shall be implemented by a number of public bodies including municipalities, the regions, governmental bodies and other public entities. Regarding larger plants or buildings or if a number of public bodies need to be involved, in order to facilitate and simplify the process, Italian law provides for a unique procedure (conferenza dei servizi) to be implemented. For this reason, such unique procedure shall permit an entrepreneur to submit its application to one public body, which shall arrange and manage the process with the other entities involved and which shall issue a final and unique licence to permit the applicant starting its activities, after the process is completed. As to health and safety issues, Italian law is very safeguarding, since in addition to criminal or pecuniary fines, contracts may be void or not effective if certain de minimis health and safety procedures are not duly complied with. In relation to environmental matters, the Italian Legislative Decree No. 152/2006 (the Italian Environmental Code) requires a preliminary environmental screening of a number of projects (depending on the relevant size, industry sector and location) and, subject to the results of such screening, an ad hoc environmental assessment may be required before construction of new building may start. The public bodies involved depend on a number of project features (size, location, industry sector). Generally, the main public entities involved are the Ministry of the Environment Land and Sea and the Regions, the Ministry of Cultural Heritage and Activities, and the municipalities. Limited recourse basis and the attendance of special purpose companies are the usual structure for the Italian project finance transactions (a limited liability company or a joint stock company). The former might emerge in personal guarantees, capitalisation or support agreements or very specific clauses to be inserted in the commercial agreements (engineering procurement and construction, operations and maintenance, direct agreements) to be executed with the sponsors and for the benefit of the financing entities. Furthermore, in the structure of a PPP transaction connected to specific industry sectors (eg, hospital, energy and energy-efficiency fields), the cash flows required to support the debt service may be enhanced through public contributions or pre-agreed tariffs or fees paid to the borrower or concessionaire. The Italian legal framework for PPPs or concession-based transactions has recently changed as a consequence of the Italian Legislative Decree No. 50/2016 (Code on public procurement and concession contracts, the Code) and the related supplementary rules, issued by the National Anticorruption Authority and the Italian government. where the private entity bears the construction risk, including the risk of availability or the market risk as to services to be supplied. As this risk allocation is the main characteristic of PPPs, such transactions may include a varied range of activities: design, construction and management of public works and supply of services, which may be governed under several contractual arrangements including concession agreements, administrative barter or availability contracts. Although in Italy PPP transactions developed later than other countries in Europe, in recent years, there has been an emphasis on and promotion of private participation in those sectors considered as public (eg, infrastructural sector as for motorways, railways, subways, hospitals, public offices, sporting venues, the energy sector, such as for photovoltaic installations, wind farms and others). In particular, in 2017, the first availability-based road deal in Italy (Pedemontana Veneta motorway in north-eastern Italy) was financed, through a project bond issuance for a total of €1,571 billion, split into two tranches (with validity until 2047), both of which have been listed on the Irish Stock Exchange. This project bond issuance has been the Europe’s largest to date without relying - except for a very limited involvement - on multilateral credit enhancement such as the European Investment Bank’s project bond credit enhancement. 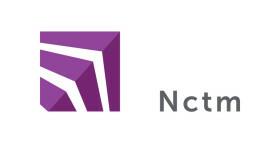 With more than 250 professionals, 58 partners and five offices in Italy and abroad (Milan, Rome, Brussels, London and Shanghai), Nctm is one of the leading independent Italian law firms in terms of dimensions, quantity and relevance of transactions followed.